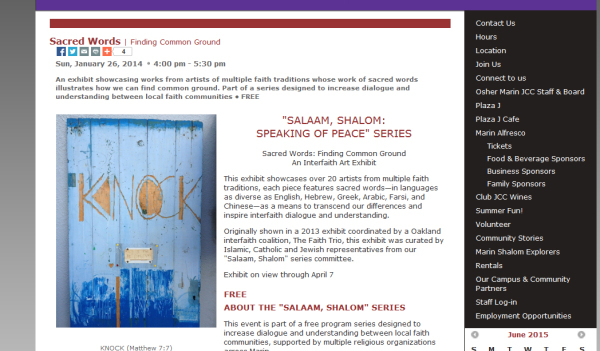 OAKLAND -- A new exhibit curated by members of Christian, Jewish and Islamic groups in the East Bay opens Wednesday. 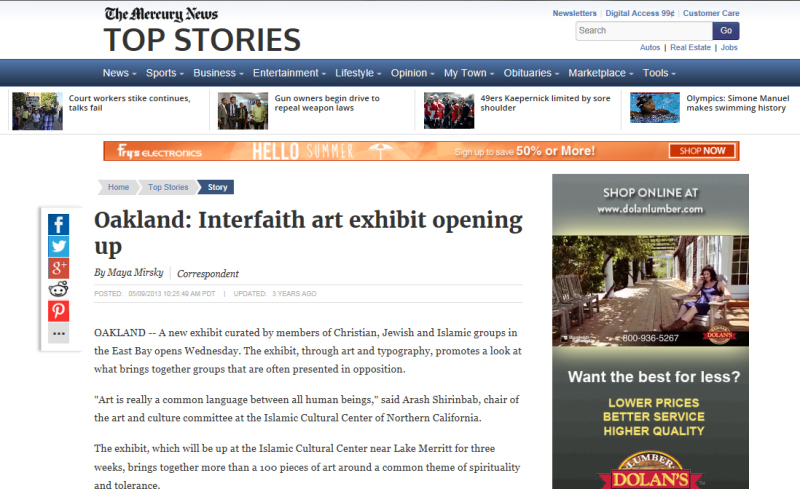 The exhibit, through art and typography, promotes a look at what brings together groups that are often presented in opposition. 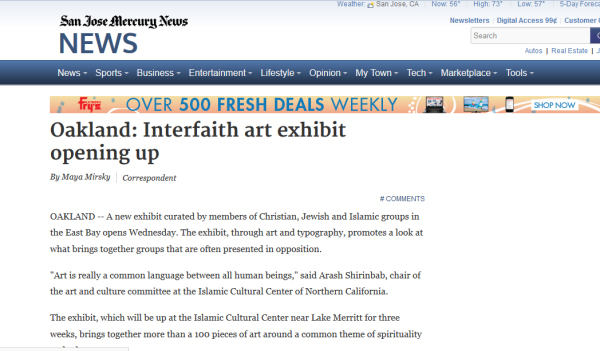 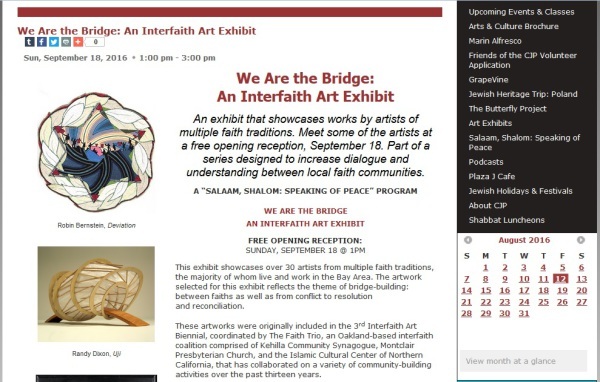 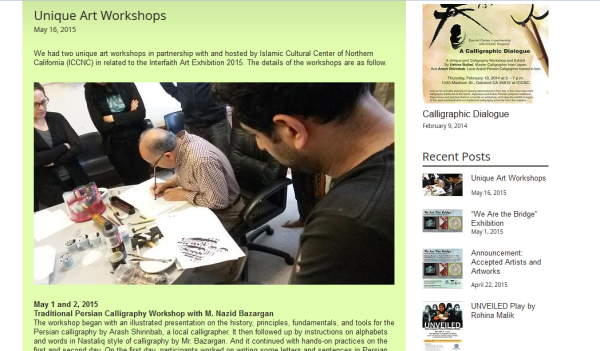 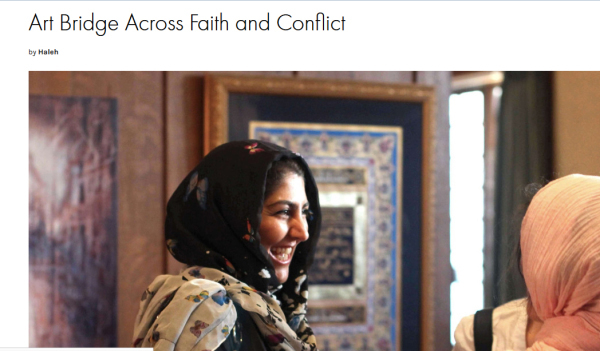 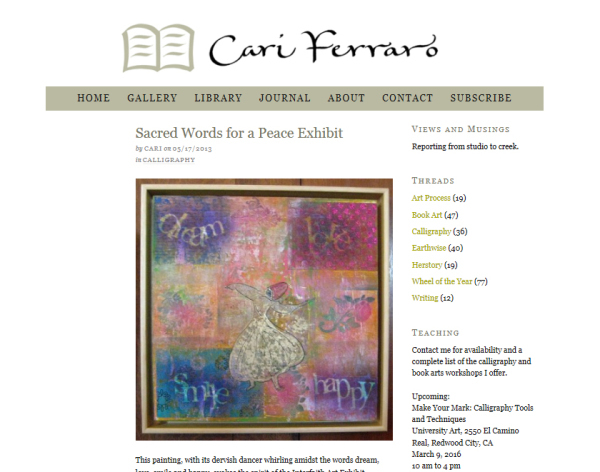 In this page you can find the media coverage on Interfaith Art Exhibition and some other related activities of the Faith Trio from the 2011 exhibition. 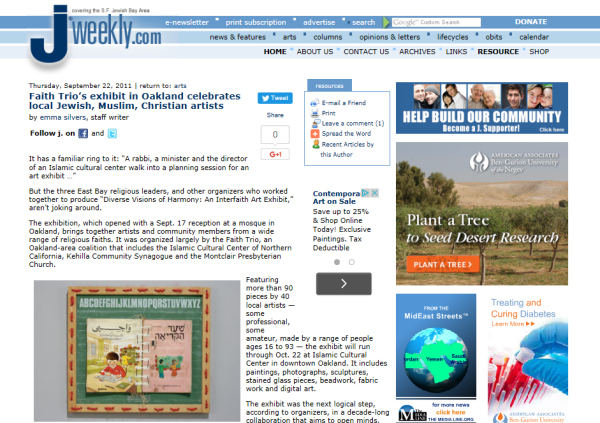 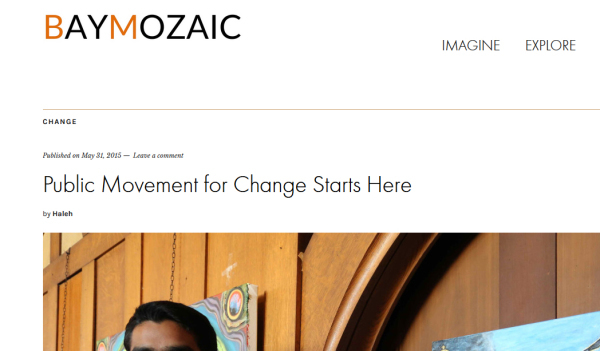 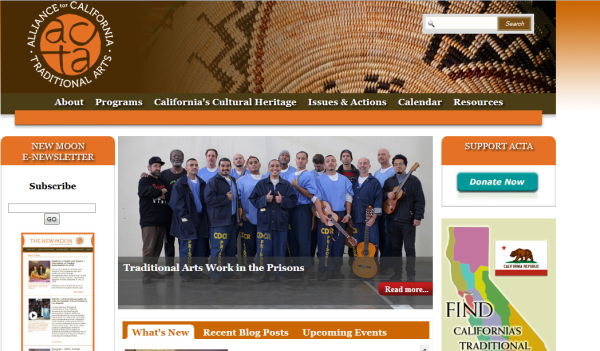 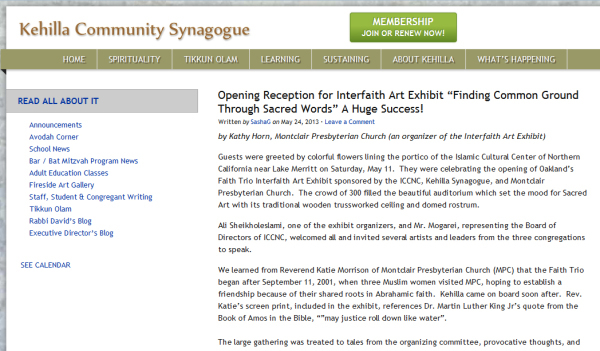 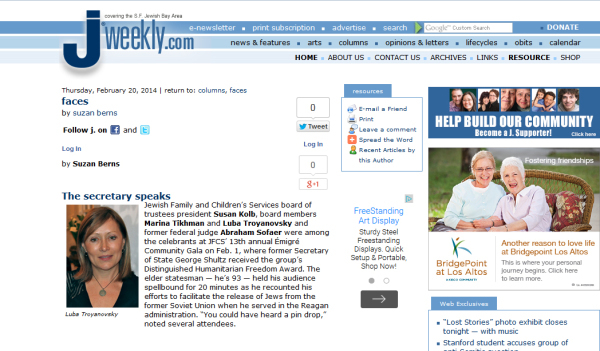 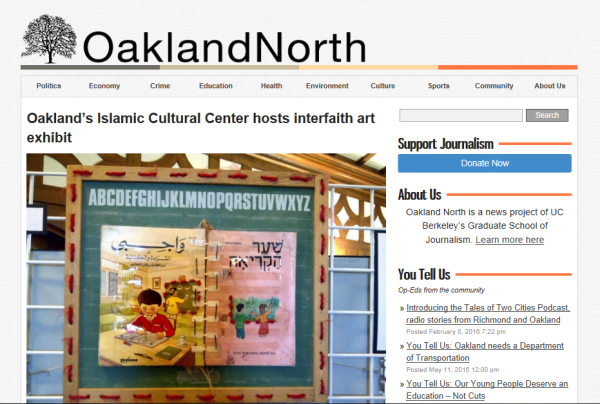 “Faith Trio’s exhibit in Oakland celebrates local Jewish, Muslim, Christian artists”, by Emma Silvers, on jweekly.com. 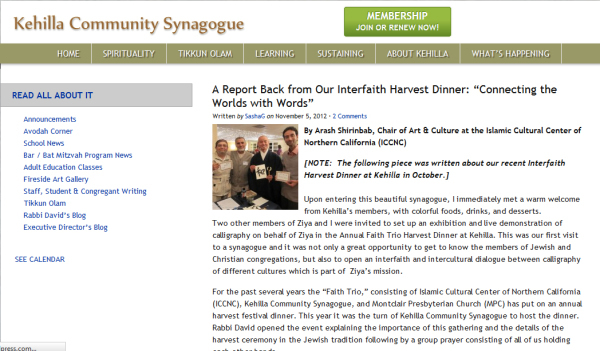 “Connecting the Worlds with Words”, by Sasha G., on Kehilla Community Sinegauge Online Magazine. 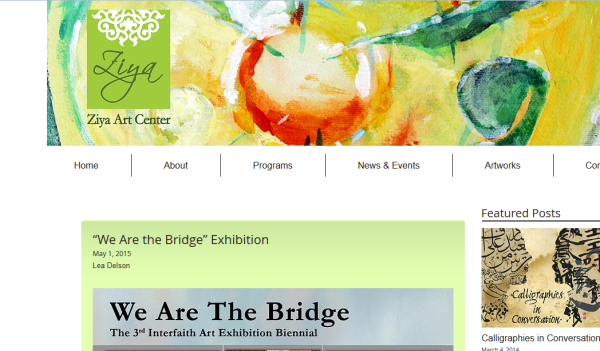 "We Are the Bridge Exhibition", by Lea Delson, on Ziya Art Center website.